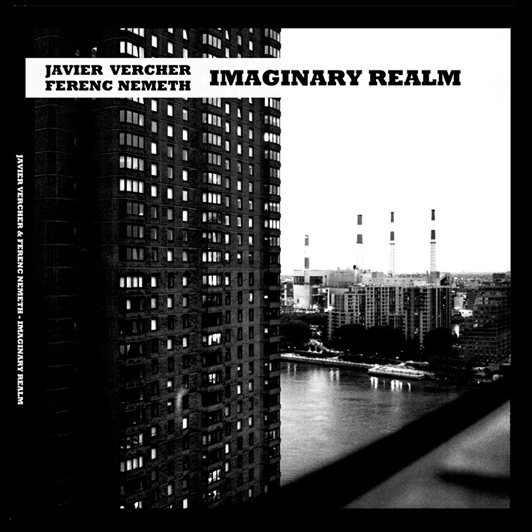 Javier Vercher and Ferenc Nemeth collaborate again after their much acclaimed ‘Wheel of Time.’ They team up to create a spiritual sound motivated by occurance so of Javier jamming out to an african wood box. Self-titled ‘Imaginary Realm’ is a seven minute track to your soul. ‘Form and Meaning,’ carried by Javier’s killer tenor sax okay, will give your life a form and a meaning. ‘Drums’ is a short track that really displays Ferenc Nemeth’s talents on the…well, drums. The african wooden box is best utilized on ‘Circles in the Sky,’ along with Nemeth’s killer percussion ability.